I’ve been asked- yes, that’s a Berkey back there, I use the 1-1/2 gallon one with the extra fluoride filters. Purchase and learn more by clicking here. Once you’re in the habit of using your crockpot, it’s a huge time saver and makes you feel so accomplished- you’ve got a hot dinner (or breakfast!) ready and waiting no matter what crazy things come up during the day. 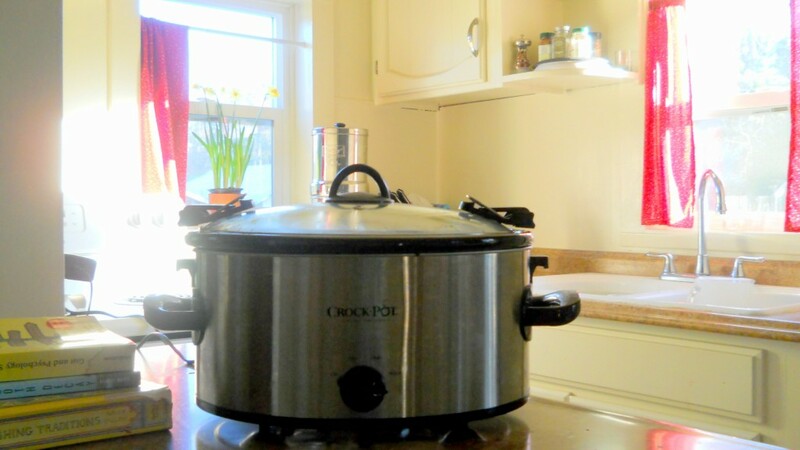 I often hear people say that they love the idea of using a crockpot, but aren’t sure what to do with it. Here is a collection of recipes to get you started! 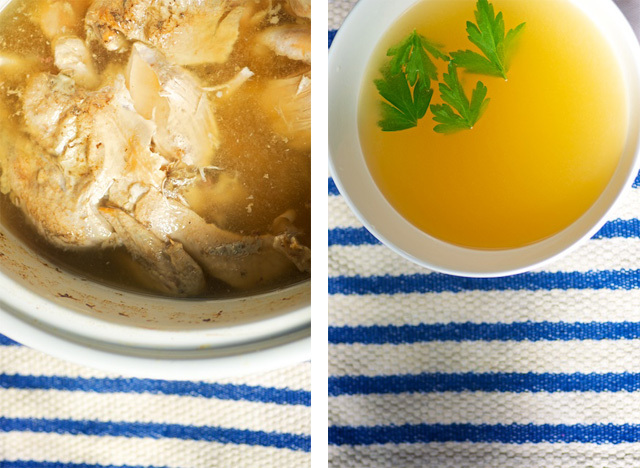 This is a super simple way to make beautiful golden chicken stock. 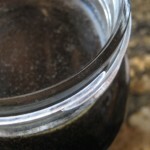 Beef Stock by Our Nourishing Roots is beautiful! Often beef bones can be found very inexpensively, we used a lot of beef broth when starting GAPS. 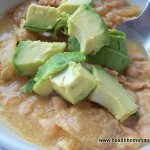 Chicken Curry by Wellfed Homestead brings out new flavors from typical crockpot meals. 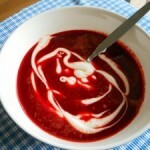 Cold Beet soup is made in the crockpot, it’s perfect for the summer (put the crockpot in the basement or on the back porch) because it’s delicious served cold and topped with kefir. White bean chili is not only a nice different flavor, but it’s also less expensive since it’s loaded with protein rich but inexpensive navy beans. Did you know Custard can be made in the crockpot? It makes beautifully steamed custard, without having to babysit the stove as you do with conventional custard. 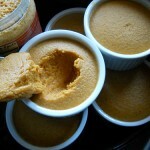 See Pumpkin Custard here. 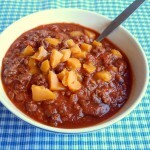 Red chili is a great way to hide liver, and is a favorite for feeding a crowd. 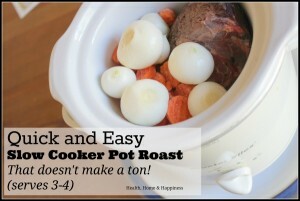 An Easy Crockpot Meal from Kelly the Kitchen Kop tells you exactly what to do when you have a frozen roast in the morning but need to not think about dinner! Fennel Chicken with Orange is absolutely beautiful! 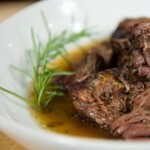 Slow Cooker Beef Pot Roast uses a roast cut in half (or a small roast) so it doesn’t give you a boat load of leftovers. 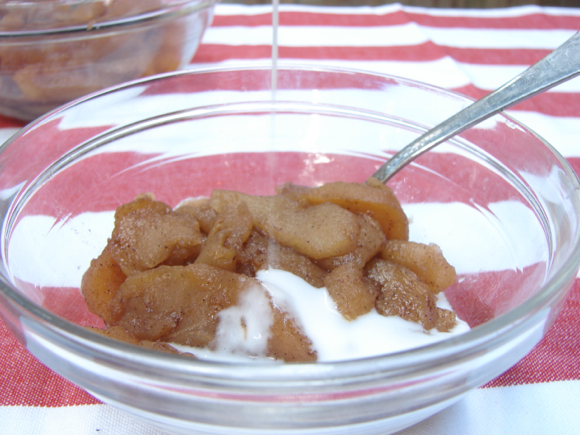 Slow cooker Apple Pie Filling by Empowered Sustinance with a creamy coconut milk topping. 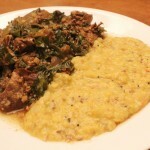 Lamb and Kale Curry, Saag Gosht, by The Polivka Family also explains what curry really means. 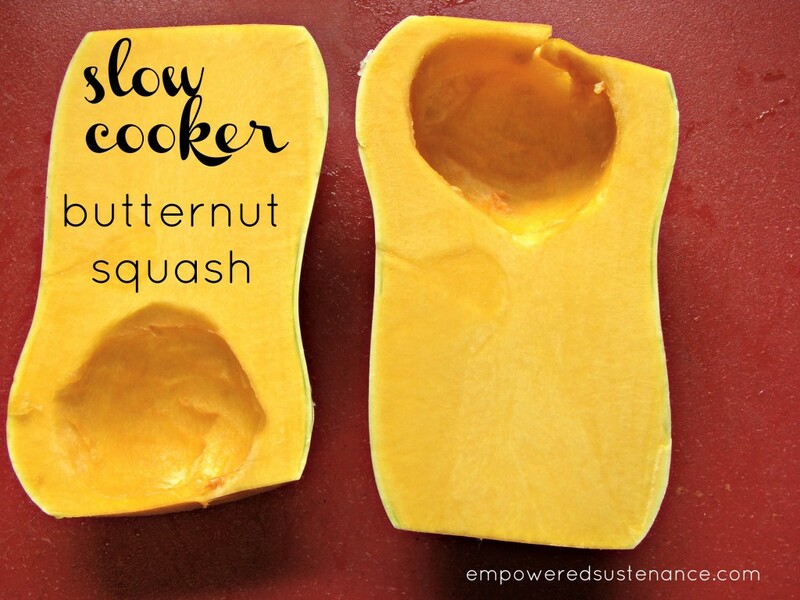 Cook your butternut squash in the slow cooker as well. This hard winter squash is inexpensive and used often in the GAPS diet. 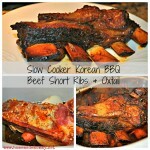 Barbeque Slow Cooker Short Ribs by Homemade Mommy is a delicious take on BBQ! 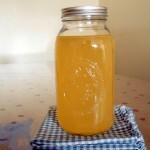 Perpetual broth by Nourished Kitchen is another way to do broth so you always have some warm and on hand. I like this especially if the kids have colds, it adds some steam to the air as well. 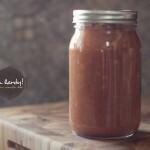 Slow cooker applesauce by Oh Lardy! is something the kids can help with and is sure to be a hit. 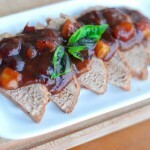 Crockpot Roast in Ancho Chili Sauce by Mommypotamus uses beautiful ancho chilis- they’re just gorgeous! Mama Baby Love has an entire freezer-to-crockpot e-book with free sample recipes available too! Health Nut Nation’s Buttery Pepper encrusted Pot roast looks delicious! Crock Pot Applebutter- When you find inexpensive apples, allow your applesauce to cook down into apple butter, this is a pleasant no-sugar-added spread for pancakes or waffles. 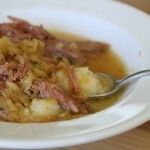 Pork and Sauerkraut over Cauli Mash by Holistic Squid is an all-in-one dish that sounds delicious! 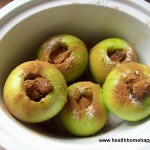 Baked Apples are a perfect desert or breakfast for harvest time. Wonderful compilation! 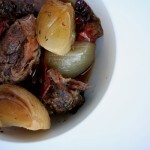 Thanks so much for including my pot roast! 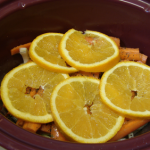 I’m a busy naturopathic medical school student, and need to be using my crock pot more often. Thanks for this!! I’m ALL over that crockpot custard, thanks Cara!!! 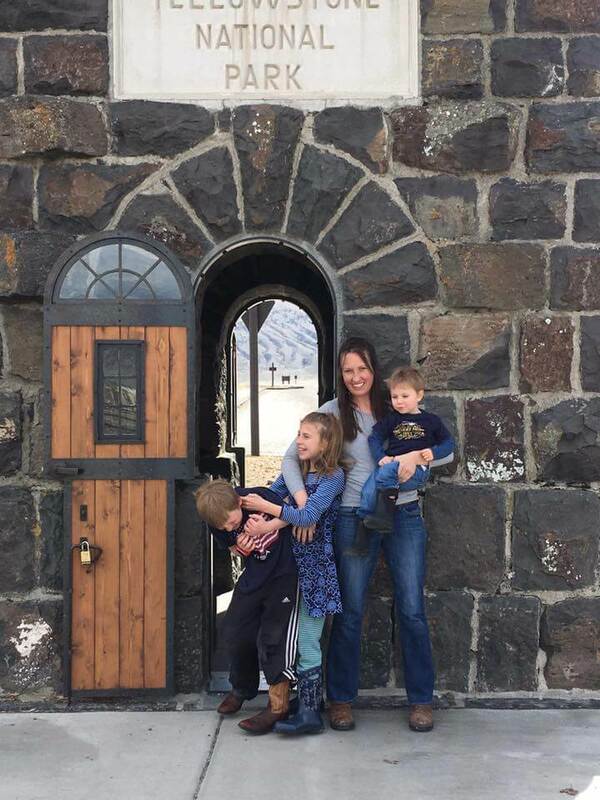 It’s nice that I am seeing more and more paleo/grain free slow cooker recipes, but I have an inflammation issue and cannot eat pork or beef and seems like most slow cooker recipes are pork or beef based. Can anyone point me to more chicken or lamb recipes? I have this exact oval crockpot. I cook my whole chickens, turkey breast and hams in it. With the chicken & turkey just rinse, remove any insides and place in pot breast side up salt, pepper, basil, celery seed garlic powder and just about 1/4 cup chicken or veggie stock. start this at about 8 am in morning on low and by the time I get home at 6:30pm dinner is done just whip up the sides. It is so moist and juicy, you will never have another dry roasted chicken or turkey again. Then for the ham, rinse and place fatty side up just pour 1/4 cup pineapple juice, 1/4 cup brown sugar mixed well and pour slowly over top of ham to get it evenly coated on top cook on low for same time as chicken and turkey. so 10 hours, but is probably ready after 8. My husband always gets into it before I get home. 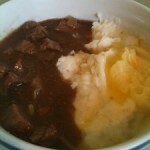 I love my crockpot and do all kinds of one dish meals and casseroles in it. I would not have a kitchen without it. It can even turn a bad cook into a good one. Thank you, Cara, I am definitely going to try some of those. 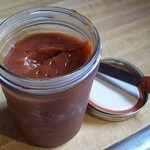 The pumpkin recipe and the apple butter look really great for sweet dishes in a crock pot. It is great to have these all in one place too, here on your page.